This family pack of Comfort Pure Fabric Conditioner is hypoallergenic and dermatologically tested, making it ideal for everyday use on your family's clothes. 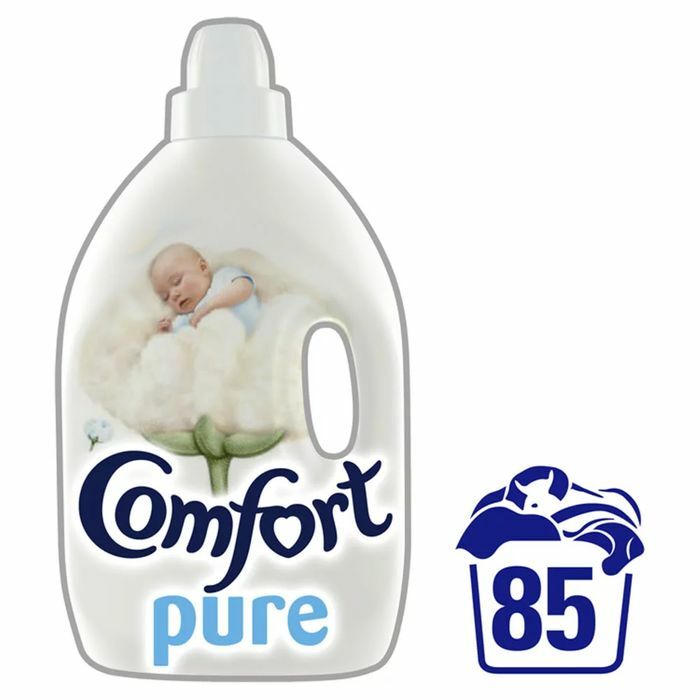 With nothing softer than Comfort Pure fabric softener, it's perfect for sensitive skin. Up to 85 washes. Warning: Keep out of reach of children. that is a very good deal, we use so much here, thanks for sharing this offer! Ooh that's a brilliant price, I think I usually pay £6, so I'll have to stock up at this price.